I've finally bought my ticket for Drupalcon Dublin, and I can only exhort you to go too, while the earlybird offer (EUR200 cheaper) is still on: if you're undecided. I've done all this exhorting a few times before, so if you want to know my reasons why then have a look at Barcelona, or Amsterdam. This year I hope to take part in a Tour de Drupal, cycling at least some of the way to Dublin, and possibly cycling around Ireland beforehand. 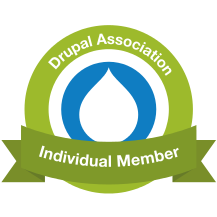 Anyone who's interested, join the Drupal group for more information and discussions. Drupalcons are comparatively expensive, albeit unique experiences for especially newer or nondeveloper Drupal folk. For developers, who want to spend most of the conference sprinting (literally volunteering to help out with code improvements) and feel it's a bit much to pay through the nose for the privilege of doing so, people are discussing Drupal Dev Days more and more these days. I wasn't able to make this year's in Milan, but here's a writeup from Chandeep Khosa that should give you some idea of how good it was. Anyway, whatever you do in and with your preferred open-source communities this summer, I hope you have fun, and can participate in making your own community a kinder, friendlier, more diverse place!